It’s been a sad couple of days realizing one of my ultimate best friends has departed the earth entirely too early. I worked with John at my first job out of college (mid 1998) for nearly four years. In the time between leaving Montana for Minnesota we have stayed in touch over various forms of social media and exchanged many of messages. John always put a smile on my face when I was feeling down through witty comments / postings. People that know him will agree he is a very unique guy in which frequented in many circles. As our friend Mike posted he was the glue to held all of us together. We’re so fortunate to have time to visit with John and other friends during our trip to Montana last Summer. 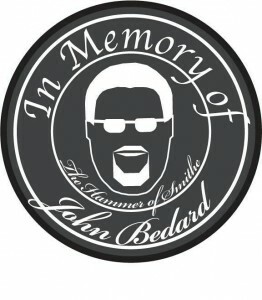 John, you will be missed immensely. I take pleasure in knowing you died doing what you enjoyed best rather that sitting in a cubical working for corporate America. Peace be with you until we meet again. Family and friends of John. You are in our thoughts.